Here is another great article that I wanted to share from our friends at Tuck.com, which is a resource created to improve sleep hygiene, health, and wellness through the creation and dissemination of comprehensive, unbiased, free resources. I know I have the very important back-sleeping portion of beauty sleep covered off, but I’m still always fascinated by the many benefits continually being discovered when it comes to the restorative aspects of beauty through sleep. 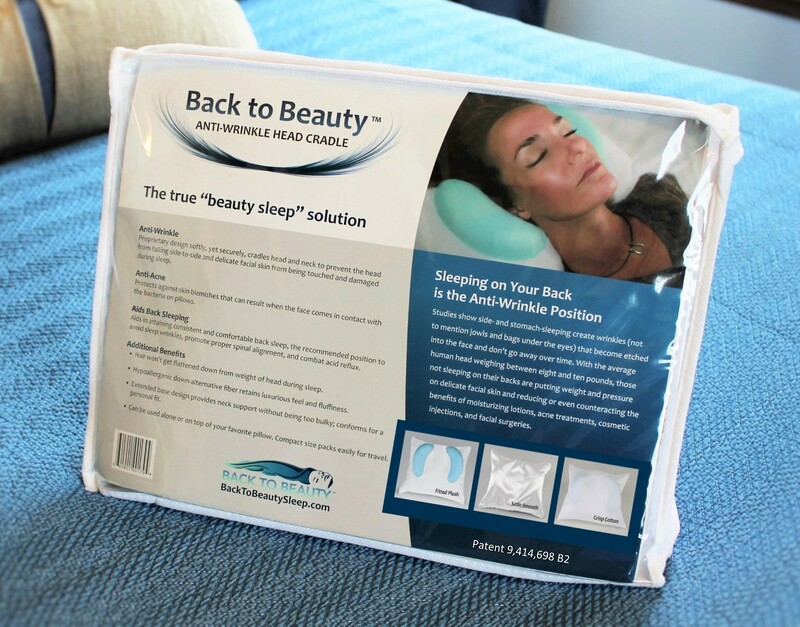 Beauty sleep is not a myth and sleep does lessen the severity of wrinkles in the face and neck, at least temporarily. The body cools in anticipation of bed time (about half a degree) and to do so, the circulatory system increases blood flow to the skin. This is why the cheeks often flush at night. What does it mean to be “radiant”? It generally means the color of the skin moves closer to the color of blood. A radiator in a house or car movers hot liquid around to distribute heat, and so does the circulatory system move warm blood around and skin tone changes to affect body temperature. This is why some people appear more radiant just before bedtime or during sleep. Increased growth hormone release is believed to be linked to the fasting state that the body enters during sleep. Contrary to what bodybuilders might want to believe, injections of growth hormone are more effective at stimulating collagen formation than preventing muscle atrophy. This suggests that naturally occurring growth hormone also plays a big part in maintaining collagen matrix, and hence the appearance of youthfulness. When rats are deprived of sleep, one of the early physical indications the show up is lesions on the skin. Good and adequate sleep is important to the integrity of the skin. There is some evidence that skin cells regenerate faster at night than during the day. Cell division happens throughout the day, but peaks around 2 am. This is literally renewal and rejuvenation during sleep. The peak in cell division happens even if you stay awake at night, while the surge in growth hormone doesn’t. Why do people have cosmetic plastic surgery? Partly to look less fatigued. Beauty is in the eye of the beholder, maybe, but the appearance of restedness and freshness is more objective. A Swedish study found that the sleep deprivation is “readily observable from a set of facial cues”. Observers can detect subtle (very small changes) in such things as droopiness of the mouth and they can identify a tired person from a rested person in a fraction of a second. Sleep deprived people are identifiable – even by observers who don’t know them – because they generally have paler skin, droopier eyelids, and redder eyes than rested people. Observers could also distinguish between sleep deprivation and fatigue by the look of glazed eyes. When researchers showed pictures of sleep-deprived people to observers, the observers rated them as appearing less healthy that rested people. They also rated the sleep-deprived people as looking more tired and less attractive. Human nighttime sleep is lengthy in comparison with that of many other mammals. Other animals usually don’t have releases of growth hormone during sleep and few other mammals enter a fasting state during sleep. Herbivores continue to digest food throughout their sleep, carnivores gorge themselves on meat which can take up to a day to digest, and rodents wake up periodically to nibble more food. The human sleep-related growth hormone surge may be a mechanism to protect tissue protein against potentially detrimental effects of this fast, and also to promote the body’s mobilization of its fat reserves. What happens if you don’t get your beauty sleep? It is not just lack of sleep that negatively affects body fat percentage and the risk of chronic disease—poor sleep quality does as well. Deep sleep also helps to negate the bad effects of cortisol. Growth hormone naturally decreases with age and also with increased abdominal fat, leading to a vicious cycle of fatigue, excess stress hormone and increased abdominal fat. It has also been found that sleep deprivation causes breaks in “skin barrier function and mucous membranes”. Researchers recently found apnea sufferers who use their CPAP machines look younger and fresher than those who do not. Activity in parts of the brain that control emotions, decision-making processes, and social interactions is drastically reduced during deep sleep, suggesting that this type of sleep may help people maintain optimal emotional and social functioning while they are awake. This is another benefit of beauty sleep. Some people advocate sleeping on your back – as opposed to your side or stomach – in a belief that this position prevents wrinkles. A website produced by the American Academy of Dermatologists suggests that “resting your face on the pillow in the same way every night for years on end also leads to wrinkles.” They suggest sleeping on your back to avoid wrinkles. Sleep does lessen the severity of wrinkles in the neck and face, at least temporarily. Some smoothing is due to position – lying down diverts the force of gravity. But there’s more to beauty sleep than that – otherwise just lying down to rest in the middle of the day would have the same effect. During sleep the whole body, including the face, perspires more. This moisture on the skin smooths out wrinkles. Some cosmetics make your face looks better by making the skin more moist. Sleep is a natural moisturizer – perspiration during sleep is a natural skin treatment. Stress has detrimental effects on skin tone; it causes alopecia areata, psoriasis, and atopic dermatitis. Chronic stress harms the integrity of the collagen in skin. Sleep deprivation applies stress to the body and leads to unhealthy appearance. Apnea causes much stress to not just the cardiovascular system, and has also been shown to affect bone health.